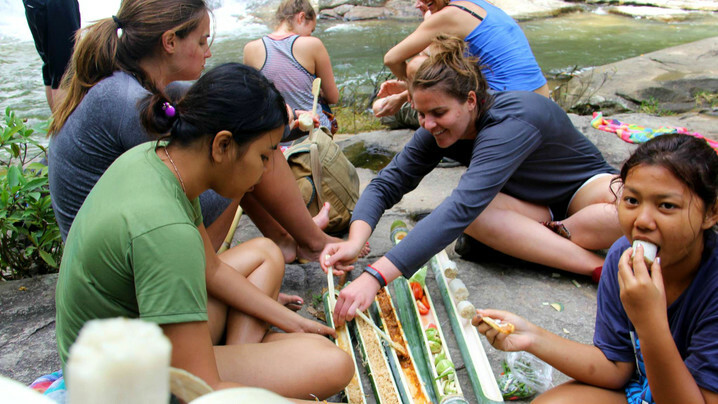 Local, organic meals with ingredients fresh from the lodge's farm that will be the best Thai food you ever eat! Not included: flights to/from Chiang Mai International Airport (CNX) and travel insurance. Guests are responsible for purchasing travel medical insurance and cancellation insurance which are also not included. Rose is the founder of Zen Den Holistic Wellness, a holistic health non-profit organization. 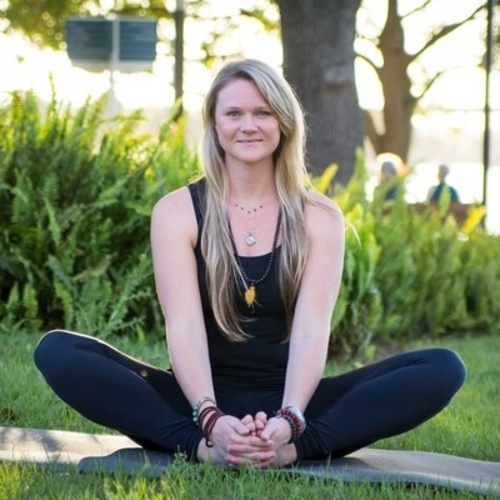 She has been practicing yoga since 2009 and is a 500 hour certified instructor in the areas of Hatha, Ashtanga, Vinyasa, and Pranayama. 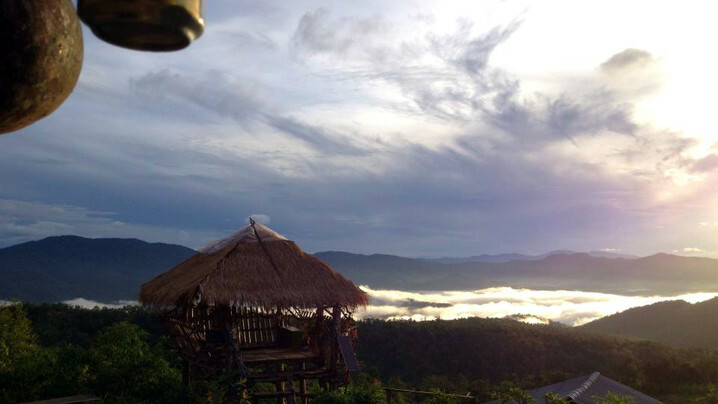 Spicy Villa Eco-Lodges are located high in the mountains of Mae Win, about two hours drive from Chiang Mai. 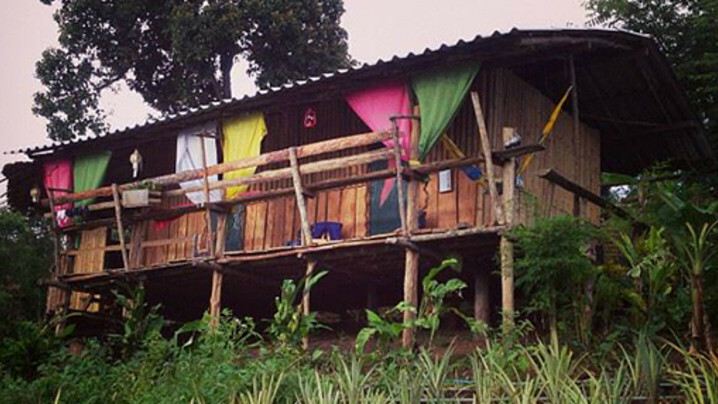 Our vision was to build bungalows the way local Karen villagers build their huts in the jungle. 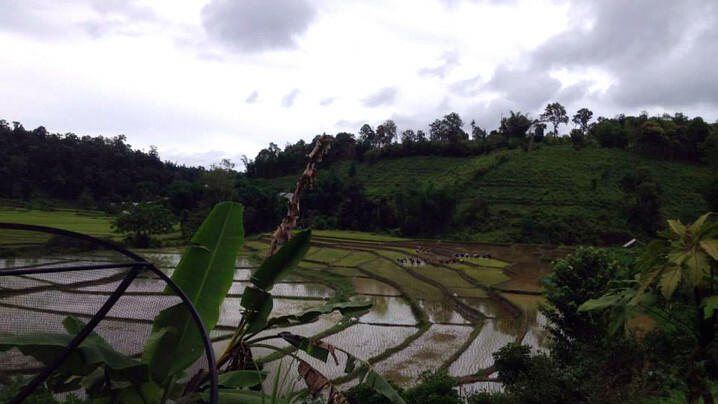 These hill tribe lodges have close to no impact on nature. We currently have five private bungalows and two family bungalows to offer to our guests. Private bungalows are suitable for two guests and family bungalows, with two conjoining rooms, can house four guests. All bungalows are comfortable, in spite of their simplicity. They have a private bathroom and a veranda with a hammock, where you can leisurely enjoy the wonderful mountain views. In each room, there is a comfortable, big mattress. While you stay at Spicy Villa Eco-Lodges, you can simply enjoy the peace and quiet in the mountains. One of our main responsibilities is for the local environment. We make sure to use environmentally friendly building materials and farming techniques. We use solar panels for electricity; the sun heats the water for showers. You might be having cold showers, but remember that this is good for your skin and health and also for the environment. Secondly, we feel responsible for local communities. All our staff is from Karen villages. We employ them and pay them fairly, and the community as a whole benefits from this. Spicy Villa Eco-Lodges are not suitable for all. They are not the right place for those who seek luxury and pampering. On the other hand, if you are open-minded and wish to experience Thai culture, a stay at Spicy Villa can be very rewarding and memorable. Join Rose's Tribe and stay up to date on their trip!